Physicians at a hospital in Vienna, Austria, conducted a placebo-controlled clinical study with nabilone in 30 patients who suffered from chronic therapy-resistant pain. During a 14 week period patients received nabilone and placebo each for four weeks in addition to their standard medication. Participants chose the dosage of the study drug themselves, between 1 and 4 capsules corresponding to 0.25-1 mg nabilone or placebo per day. In the following 16 weeks patients were allowed to freely choose their prefered drug (test drug A or B). Nabilone is a synthetic cannabinoid with similar effects as the natural cannabinoid THC. The intake of nabilone was associated with a significant decrease in pain intensity of spinal origin, with a significant decrease of average headache intensity, and with an increase in quality of life. The number of study participants who favoured nabilone was more than 4 times higher than those who favoured placebo. Researchers concluded "that a majority of patients with chronic pain classify nabilone intake in addition to the standard treatment as a measure with a positive individual benefit-risk-ratio. Thus, this kind of treatment may be an interesting and attractive enrichment of analgetic therapy concepts." In December 2000 the Canadian Government gave Prairie Plant Systems a five-year contract to supply cannabis to the health ministry (Health Canada) to be used for patients and clinical research. The contract was renewed until the end of September 2006. Now Health Canada is seeking proposals from further potential suppliers and invites interested companies and individuals to submit bids for a cannabis-growing contract. This process could result in Prairie Plant Systems being selected again, or some other supplier could get the contract. Philippe Lucas, spokesman for the group Canadians for Safe Access, however noted that it might be better to leave the concept of a single supplier. People, who use medicinal marijuana respond better to different strains of the drug, Lucas said, and want the right to choose from a selection. About 280 patients currently receive the government cannabis, which Prairie Plant Systems grows in an unused section of a mine. Most patients buy 30-gram bags of cannabis for 150 Canadian Dollars (about 105 EURos). Researchers of the University of Munster, Germany, conducted an open study with N-palmitoyl ethanolamine (PEA) in 22 patients with severe pruritus (itching) of several causes. PEA was applied in an emollient cream to the skin. 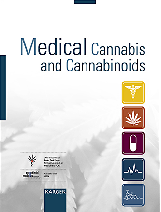 It is an endocannabinoid that binds to cannabinoid receptors such as THC and other cannabinoids. These receptors are present in the skin. In 14 of the 22 patients a good antipruritic effect could be documented. The average reduction in itch was 86.4 per cent. The therapy was well-tolerated by all patients without local or general side effects. 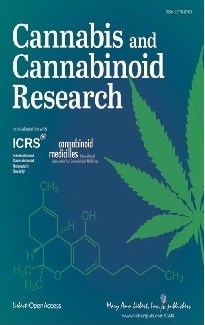 Researchers concluded that "topical cannabinoid agonists represent a new effective and well-tolerated therapy for refractory itching of various origins. Creams with a higher concentration may be even more effective with broader indications."